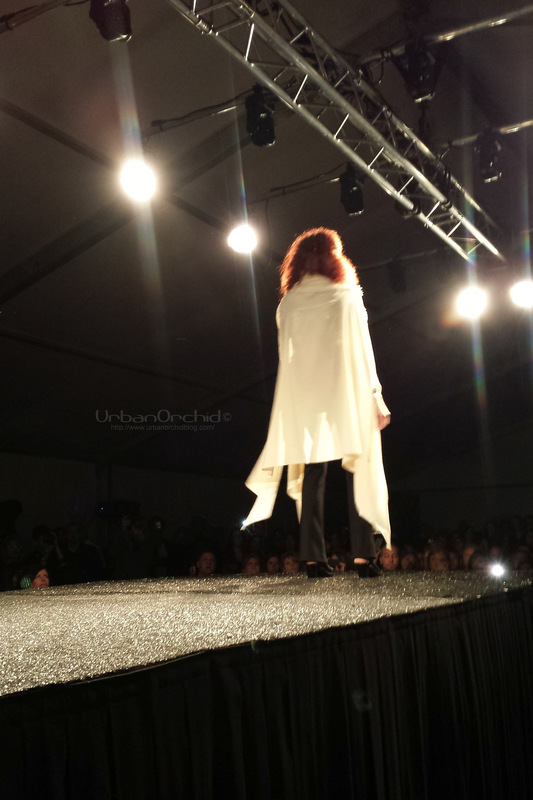 MN4MN was the perfect close to my Fall 2014 Twin Cities Fashion Week experience. The two day event was held at the Shops at West End in St. Louis Park (which I’ve likened to Town Square in Las Vegas). 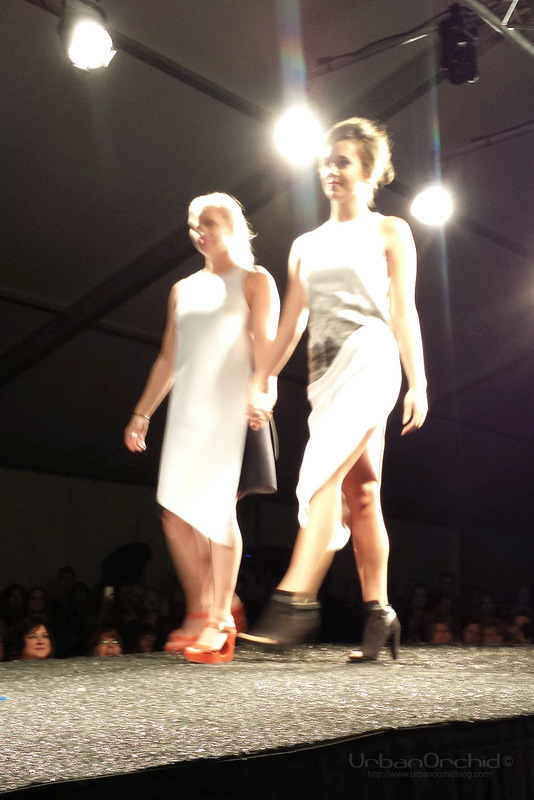 The weekend involved two nights of fashion shows with looks from local retailers and designers, and a pop-up market including Minnesota based brands and stores. Unfortunately, I missed the first part of the first night of shows. Since I hadn’t been to the venue before, it took me a lot longer to find the tents than I anticipated. It wasn’t until I followed a pack of ladies also wearing impossibly tall shoes that I figured it out. The weather was also not ideal and the tent was very muggy and warm. The shows that I did see included Atmosfere, Blackblue, Hackwith Design House. I found that the show ended rather abruptly and earlier than I anticipated, but that left me time to get some room service and rest for the next day. There was a live performance by between the runway segments. It was unexpected, and an interesting way to make the show more than just models down a catwalk, but I wish it could have been more integrated with the rest of the show. I was most excited to see looks from Hackwith, as they really stress having pieces that are handmade and limited edition, so you can wear something that you won't see on someone else. 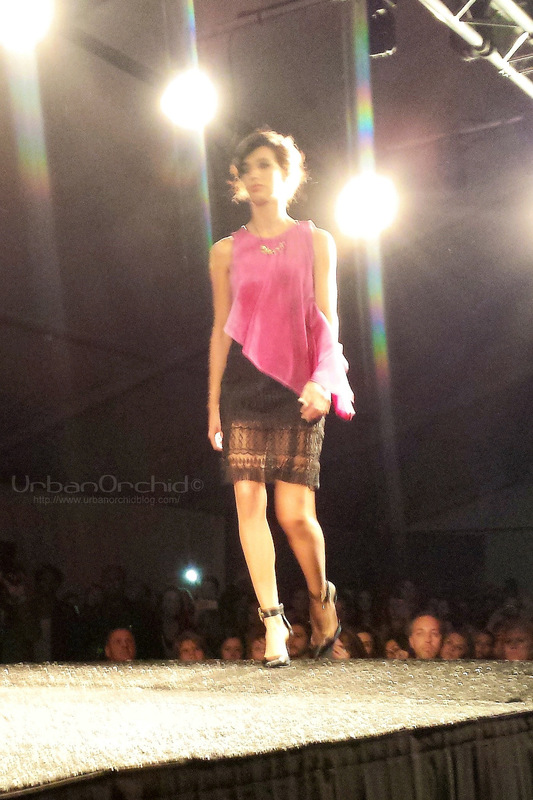 The pieces were beautiful and flowed elegantly on the runway, but most weren't cut for me. Glad to see they now have plus pieces and swimwear as well. Look by Hackwith Design House. The market was really fun. I loved seeing booths from local brands like Duluth Pack, Faribault, Marked Leather, Oh Dier, Stephanie’s, and Atmosfere and getting to know more about them. The smaller inventory and crowds allowed for more conversation and enticed me to want to come back to see their full offerings in store. Since it was on a Saturday afternoon at a large retail center, I bet the tents attracted a lot of people who weren’t aware of the event beforehand, which is definitely a good thing. I came across jewelry designer and artist Cheryl Shohet at the market. Her pieces are very unique and mostly wearable day to day, but some pieces are more like art that you can wear, as opposed to just jewelry. This is something that I appreciate because I love that fashion is like art you can wear - that your personal style is a form of self expression. Cheryl handcrafted these rings. They're amazing. The Oh Dier block bots created for MN4MN were so freakin’ cute! I received the Coco Chanel block bot and keep her as inspiration at my desk at work :-) Other block bots include Paul Bunyan and these awesome Pac-Man ghosts. Pac Man ghost block bots by Oh Dier. More fashiony block bots at the event included Marc Jacobs, Betsey Johnson, Karl Lagerfeld, and Tom Ford. Night two of shows went a lot better for me since I knew where to go, and the weather was much more favorable. Been seeing a lot of Chris Straub’s dinos on social media and they were really fun on the runway too. Chris is one of the seven designers from Minnesota to be on Project Runway. MN4MN introduced me to a lot of boutiques in St. Paul I think I'll have to visit. A friend of mine recently asked me for recommendations for menswear shopping in the cities and I’m very happy to add Heimie’s Haberdashery to the list. So many great looks...and Duluth Packs. Almost thought I was more into menswear than womenswear at this event until I saw all the Caroline Hayden x Faribault pieces. So cozy looking but also chic. I don’t think I’ll ever get used to Target being “local”. The chance to see some of the faces and names behind the brand was amazing. Since Target is such a large corporation, I sometimes forget that there are real people and designers involved. Also interesting is how Target showed both nights - the first night showcasing items from it’s house brands (Merona, Mossimo, etc) and the second night, looks from creatives on their design team (Lindsey Hopins, Marissa Bridges, etc). Ran into some old friends and made some new ones, which is another thing I love about the Minnesota fashion community. Everyone is so supportive of each other and there are new faces that come around all the time to keep things fresh. The whole weekend really focused on the same ideas that I do - not only were the featured designers and retailers based in Minnesota, but many of them still manufacture here too. So much is going on for the Minnesota fashion scene right now, and I am glad to see it will be continuing again this year.